PLEASE ATTEND THE KLAMATH COUNTY COMMISSIONERS’ TUESDAY, NOVEMBER 1, 6 P.M. HEARING AT THE GOVERNMENT CENTER IN KLAMATH FALLS (Hearing Room 219, 305 Main Street) AND SPEAK FOR MONUMENT EXPANSION. Please arrive early if you can – and please wear blue. Be sure to bring liquid and food because the drive and hearing will overlap dinner time. The Klamath County Commissioners, represented by Commissioner Tom Mallums, went on record against Cascade-Siskiyou Monument expansion at Sen. Merkley’s and DOI Deputy Sec’y Connor’s October 14 Monument expansion hearing in Ashland. 80% of attendees were in favor of Monument expansion at that hearing. Commissioner Mallums again went on record against expansion at the Jackson County Commissioners’ October 27 hearing in Medford where speakers split 50/50 for and against Monument expansion. Now the Klamath County Commissioners are holding their own hearing in Government Center Hearing Room 219 at 305 Main Street in Klamath Falls this coming Tuesday, November 1, at 6 p.m. To repeat, these commissioners are already on record against Monument expansion. We believe the commissioners’ intent for their hearing this Tuesday, November 1, at 6 p.m. – announced on the Klamath County website (see attachment and/or www.klamathcounty.org > “Public Affairs” [lower right] > “Press releases” [top of right-hand column]) – is, as with the Jackson County Commissioners, to attract as many anti-Monument attendees as possible in an attempt to prevent Monument expansion. The Obama Administration is seriously considering Cascade-Siskiyou Monument expansion via the congressionally vested Antiquities Act that established the original Monument. Scientist after scientist says Monument expansion is necessary to protect and restore this remarkably biodiverse landscape and the important biological pathways it provides. The mayors, city councils, and chamber boards of Ashland and Talent (the two closest towns to the Monument) unanimously support expansion, as do Oregon local state Rep. Peter Buckley, the late state Sen. Alan Bates, his appointed replacement Sen. Kevin Talbert, and Oregon U.S. Senators Ron Wyden and Jeff Merkley. The end of the Obama Administration is a rare opportunity for these important and vulnerable public lands. Please don’t let the Klamath County Commissioners claim overwhelming opposition to Monument expansion at their hearing this Tuesday evening. · In BLM’s new Western Oregon Plan Revision: Almost all of the acreage is designated for “Recreation Management,” roughly 30% is designated as Late-Successional Reserve to protect old-growth forest, there are two Areas of Critical Environmental Concern (Old Baldy and Tunnel Creek), many miles of Riparian Reserves, and about two miles of Pacific Crest Trail. Especially because of heavy commercial logging on adjacent private lands, scientists are especially concerned that this higher elevation public land be included in an expanded Monument in the face of climate change to offer high elevation forest refugia for terrestrial and avian species and clean, cold headwaters for aquatic species. Though helpful, neither BLM’s recent allocations nor the senators’ proposed designations afford sufficient or comprehensive protection for this key BLM link between the existing Monument to the southwest and the generally more benignly managed U.S. Forest Service land to the north. P.S. 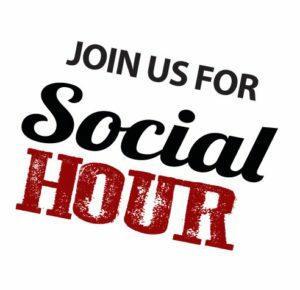 Please don’t forget carpool times/locations at the top of this email. Project Family Connect (PFC) is a one-day, community-wide event where you will meet service providers and have access to FREE immediate services, including: medical/dental clinics, food, haircuts, children’s books, things for teens, clothing, and more. 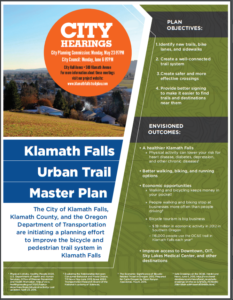 Support the Urban Trail Master Plan for a healthier Klamath Falls! Last night our Planning Commission unanimously voted to recommend to City Council that the Klamath Falls Urban Trail Master Plan (UTMP) be adopted into the TSP (Transportation Systems Plan)! The showing from the community was tremendous and many spoke in support of the UTMP. The enthusiasm was inspiring! But we will not be able to move forward with any of the trail, bike lane, or sidewalk connectivity projects within the UTMP unless at least three City Councilors vote in support of the UTMP at City Council the night of June 6th. Having your support the night of the 6th will absolutely make a difference in the outcome. Please consider joining in support of this important project for Klamath’s future. Though public speaking can be so difficult, saying a few words as to why walkable and bikeable communities are important to you will really impact those Council Members who are wavering. Let’s continue to create positive change in our wonderful community! Please share! And thanks to German art historian Jean Paul Friedrich Richter (1847-1937). Anticipating our July through August-2016 hiatus, may you THRIVE in cheerfulness, and be most generous with spreading it about. As we UU’s claim Ralph Waldo Emerson to be “ours”, the following may prove to be a great send-off to us for this summer. The Nature Conservancy’s 2008 purchase of 14,600-acres of forest property in the New York Adirondack Mountains, “came with a crown jewel: Follensby Pond, the idyllic locale where Ralph Waldo Emerson and nine of his intellectual contemporaries spent a contemplative summer in 1858. 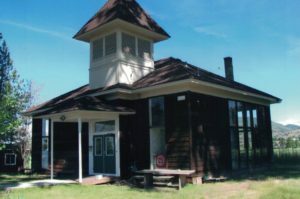 “Their expedition, which included artists, poets, scientists, and doctors, constructed a simple, “Philosophers’ Camp” on the pond’s shore, and spent their days in discussions, exploration and creative endeavors. Emerson penned a long poem about, ‘The Adirondacs’ , rejoicing in the freedom of escaping everyday life for a while”. May you find a Follensby Pond in your Summer-2016 adventures.